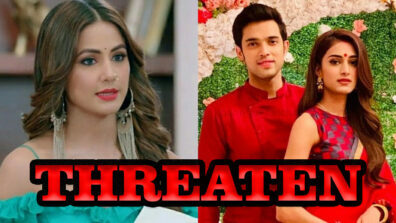 IWMBuzz.com reviews the Star Plus show, Dil Toh Happy Hai Ji. Read our version and share your thoughts too. After a long time, we enjoyed watching a daily soap. 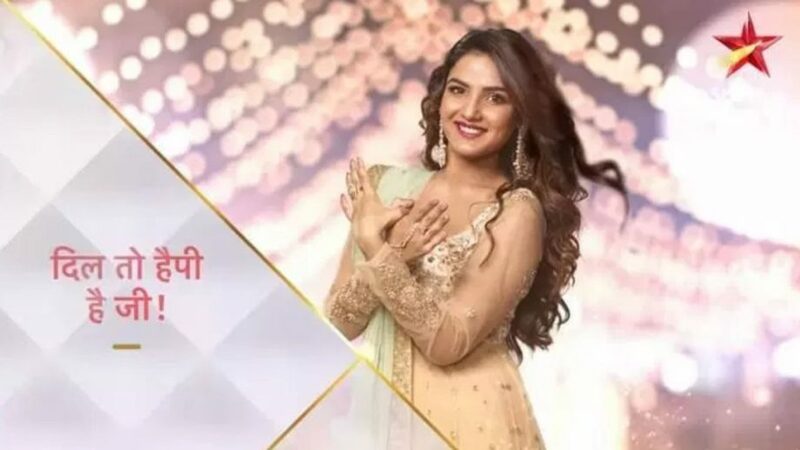 While we can’t say that STAR Plus’ Dil Toh Happy Hai Ji is something different, yet its treatment of a young never-say-die girl, Happy (Jasmin Bhasin), is refreshing. Producers Gul Khan and Nilanjana Purkayasstha have effectively zeroed in on a big fat Punjabi wedding (clearest cinematic identifier of this ostentatious North Indian community) to start off the love and war saga between Happy and two diametrically opposite brothers on the other side. 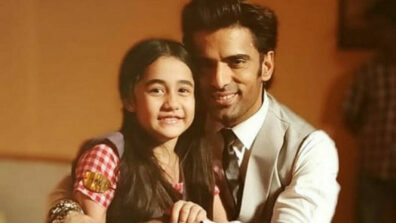 After coming up with a winner in the musical drama show Kullfi Kumarr Bajewala, Gul and Nilanjana had to think different as expectations from this Producer duo were huge. And we should say that Dil Toh Happy Hai Ji is a show to be watched out for. Happy, whose father had passed away when she was a kid, lives with her mother and younger sister, Smiley. They are at the mercy of their Taya (dad’s elder brother), who leaves no stone unturned to humiliate them. In a bid to show that widows lose out on a lot of support and respect, the creative keeps making Happy and Smiley say, ‘agar papa hote’, which to us becomes a tad too much at times. The Taya is a typical Panju bauji who feels that he has climbed Mount Everest by pulling off a huge wedding for his daughter. References are also thrown in about the Punjabi desire of having a Canada-based son-in-law. On the other side, we have Tayaji’s widowed samdhan, Aruna Irani, and her family. She too keeps lamenting the loss of her husband. She has 2 grandsons, one is a healthy CA, Chintu (Aru K. Verma), who has taken care of the family after his father suffered a heart attack. And there is the crass, aggressive main lead, Rocky (Ansh Bagri), who thinks he is God’s gift to women. He already has 18 girlfriends and we wonder whether he’s going the Pandya way!! Happy, who has two left feet, falls flat on her face when she tries to take centre stage at the wedding dance. But rather than getting embarrassed, she gathers enough courage to stand up and crack jokes at herself. A characteristic in a female lead this, is interesting. However, this obviously does not wash well with old school Tayaji. On the other hand, Chintu flips head over heels for her, seeing her antics. Notwithstanding the above fiasco, Happy still wants to fulfil her to-be-married sister’s dream of a secret bachelorette party. So the former takes off in her uncle’s Nano with the full girl gang in tow. Being good girls, they don’t go for guys’ stereotypical pole dance/strip tease, but dine at a dhaba. But alas, on the way, they crash into a drunk Rocky who grazes her car (what a coincidence). She complains to the cops who sadly let him go. And in revenge, he totally smashes her car. Next morning, the girls manage to pull the wool over Tayaji’s eyes regarding the accident. But Rocky turns up, threatening to spill the beans. However, Chintu becomes her knight in the shining armour. How he ties himself in knots while conjuring up a false admission was hilarious. The dialogue among the sisters about what guys want was fun. Also, when one gal feels happy that Rocky had winked at her, it shows the more human side of the otherwise traditional gals. The makers also dwell upon parochial thinking, where girls are educated only because they can net a good groom. One thing which we observed is that this show also seems to be going down the traditional masochistic route, where the male can keep crossing the line. Here too, Rocky goes to the extent of stealing Happy’s money in a bid to teach her a lesson. Yet, after all this, mostly she will still flip for him, while Chintu, who goes out on a limb for her, will again be left holding the sack. Hope Chintu’s character is shown in more detail for the dynamic differences in the brothers are fascinating to watch. 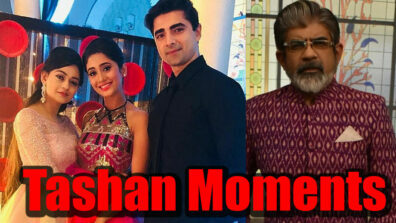 Jasmin is doing a superb job as an innocent kudi, coming across as very fresh. One does not remember her previous outings (Dil Se Dil Tak). The makeup and dresses also help for sure. 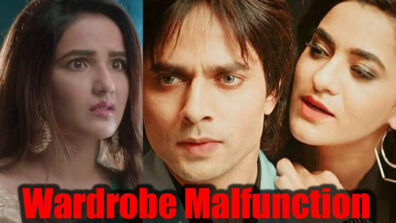 So far, we have not really seen Ansh Bagri’s acting skills apart from throwing tantrums as per his character’s dictate. But he’s surely good-looking and has already attracted many girls is our guess work. Aru Verma is very good in the interesting role that he has been given. Also, the bromance of Rocky and Chintu will garner eyeballs. What we also like is the makers’ focus on health issues, which parents often have. Happy’s mother is afflicted with diabetes and Chintu’s dad is dealing with post-heart attack woes. The scene where Happy tries to scoop up the money which people throw at the groom to pay for her mom’s heath bill was full of pathos about lopsided priorities. Hope the same money could be given to the needy. The makers take you on a Punjab ride, with lots of local words and diction thrown in for good measure. This is needed to give the required Amritsari flavour. The supporting cast is good. Satyajit Sharma is a class-performer and is doing the job required of him, and so is the father of the boys. Even the girl who plays Smiley is cute; her death one-liner is fun. Overall, Dil Toh Happy Hai Ji has indeed made us happy. If it gets a decent rating to kickstart its journey, the word of mouth, the positive vibes created by the lead characters will surely draw more audience. We at IWMBuzz.com will credit the show with 3.5 stars out of 5.